Arrival, reception and transfer to the hotel of your choice. In the afternoon traditional city tour visiting the best of Santiago de Chile. Breakfast. In the morning we will start out on our visit to the picturesque city of Valparaiso, located almost 75 miles from Santiago. During the trip we will enjoy impressive views of the valleys of Curacaví and Casablanca with their famous vineyards. Valparaiso is rich in local architecture that has inspired artists and poets and was declared a part of World Cultural Heritage. Once in Valparaiso, we will be charmed by its colourful houses, hills and cable cars. We will make a stopover at the lookout point of the Mirador 21 de Mayo, one of the many in the city where you will have one of the most magnificent views over the bay of Valparaiso. We will continue on to the neighbouring city of Viña del Mar, one of the most important beach resorts in Chile and South America. The sea blends perfectly with beautiful gardens and shady streets in this jewel of the Pacific, also known as the Garden City. 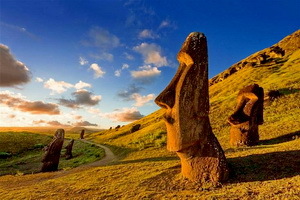 It is located about 6 miles northwest of Valparaiso and offers all types of attractions for visitors and locals alike. Free time for lunch at Reñaca Beach (not included in tour), a short drive from Viña del Mar. Return to Santiago and your hotel. Reception and transfer to San Pedro de Atacama, from the Calama’s airport. Breakfast. At 09:00am. Interesting visit to the most representative archeological places that show the development of the Atacamenian culture. Discover the origin of this culture, visit the archeological monument called “Aldea de Tulor”, 2800 years old. Relive, accompanied by native Atacama guides, the beginning of the sedentary life of the first inhabitants of the Atacama Desert. We finish our trip through history visiting the Tambo de Catarpe, administrative center built by the Incas, in order to collect taxes and spread the traditions of the Empire of the Sun in Atacama. Back to the Hotel 1:00pm. Excursion to the Atacama Salt Lake, departure 4:00pm, Toconao is part of the Andean culture and appreciate the beautiful handcrafts made of volcanic stone, Cactus wood and Llama wool in the picturesque and small village of Toconao. Then, in accompanied by our skilled guides travel through the vast Atacama Salt Lake, one the worlds largest. Discover how life survives in the salty environment. Observe the beautiful and surprising flamingos, one of the better adapted birds to the harsh environment and climate that characterizes the place. Discover the micro organic life, surviving in Salt concentrations even higher than the sea, life that allows the subsistence of many insects, reptilian and birds, which change this harsh plateau into an extraordinary habitat full of surprises. Departure 04:00am. 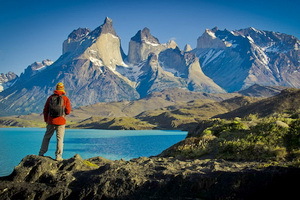 Very early in the morning we will go than 100 kilometers from lives San Pedro of Atacama into the Andes mountain range. Breakfast. There you will participates you in one of the most astonishing phenomenon produced by nature, see contrasting colors produced by the steam columns in the highest Geothermal field in the world. After greeting the father sun, we will continue on to a luscious valley to visit a lovely village located at 3200 maters, Caspana. Lunch is included. When we leave the village the extent of the desert is impressive, we confront the driest desert in the world. In the middle of this loneliness is the Inca Coya lagoon, a few miles before Chiu Chiu. back to your Hotel. Lodging in San Pedro de Atacama. Transfer from the airport Punta Arenas to Puerto Natales, but on the way is possible to watch different species of marine birds and in a lucky day possibly dolphins. Then the road turns heading North West to take an unpaved road that goes through the Patagonian steppe, where different sheep farms can be found and some species of the native flora can be seen as well. The native fauna of this area is composed by Lesser Rheas, Upland geese, Andean condors, Kelp gulls, Eagles, skunks, different species of ducks and foxes. Before approaching to the Otway Sound the bus drives bordering a coal open cut mine, important activity in the region. At the then of the road is located the small colony of Magellanic Penguins that every year come for breeding and feeding. The walk stretches for about one mile on a wooden trail with three different observation points. Breakfast. Breakfast . At 7:30 am departure from your hotel to begin the full day excursion that will drive us to imposing “Cave of the Milodon” (Natural Monument) and later to “Torres del Paine” National Park where we will have a nice panoramic view of “Paine” Mountain Range as welcome. 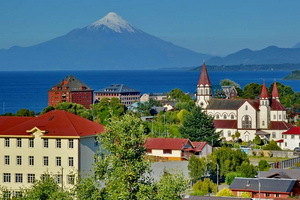 Also we will admire lakes as “Sarmiento” ,”Nordenskjold”, and “Pehoe” . Its “fauna” will be present through “huanacos”, “foxes” among others and big variety of birds of easy observation during the trip. A short trek will take us to a big waterfall called “Salto Grande” which is part of park hydrographical net. Later ,retaking the main way, it access to CONAF central office, to continue to Lake Grey , where after to walk ( 30 minutes) through a “millennium” forest we will get to its beach to admire a great number leading offs floes from glacier. Lunch is included. Breakfast. At 9:00 am we begin our down stream sailing along Serrano” River on “zodiac” type vessel. .This sailing include all personal sailing equipment . We will sail by approximately 4 hours along 32 kms of river, where will be able to observe nice panoramic views of “Tyndall”, “Geike” Glaciers, beech native forests and a lot of everlasting snow-covered peaks. At the end of navigation on zodiac we will approach land on “Puerto Toro” docking area , from where we will start a short trek to “Serrano” Glacier crossing a native forest and the lake’s shore. 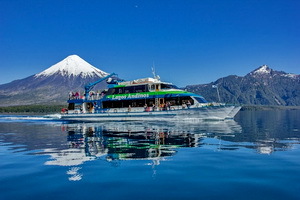 A “box lunch” type or lunch is included .At approximately at 2:00 pm we will connect with larger vessel to return to Puerto Natales city We estimated our arrival time at 5:00 pm. Breakfast. The bus picks you up at 07:00 am at your hotel in Puerto Natales and continues driving along the Patagonian steppes, known as the Pampa, this time towards Argentina. We cross the border and continue our way to Calafate. Before we will visit the Glacier Perito Moreno, where you take a board walk to just in front of the Perito Moreno Glacier, where you can have an impressive view. Is including box lunch. The excursion finish at the bus station and then our tour operator in El Calafate will pick you up and transfer to the Hotel. Accommodation at the hotel of your choice in El Calafate. Breakfast. 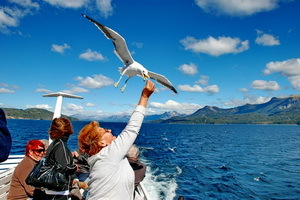 Full day excursion Upsala and Onelli. Breakfast. The Argentina capital boasts a population of 8 million. City tour takes you to the Plaza de Mayo for view of Cathedral and Casa Rosada (Presidential Palace).Then along 9 de Julio Avenue, widest street in the world, with its much-photographed Obelisco and Teatro Colon and finally, to the colourful Boca District.